I just loveknitting cute stuff! I graduated from London College of Fashion this year, and I live in Berkshire with my husband and a menagerie of knitted animals. I have been creating toy knitting patterns for about five years and in that time I have designed for several knitting magazines, including Let’s Knit and Let’s Get Crafting. I learnt the basics when I was a little girl but never really took up knitting until about six years ago. I was given a “knit your own scarf” kit for Christmas, and I was totally bitten by the knitting bug! My first toy creation was an owl, and it was a very simple pattern made from a folded rectangle of knitting. Some friends asked me to make them an owl too, and that kick-started my toy designing. I soon got bored of knitting the same owl, so I created a few new toys, and thought I would try selling the patterns. Was the step up to designing your own patterns a scary one? Not really; I didn’t think anyone would buy them! I just thought I would give it a try. 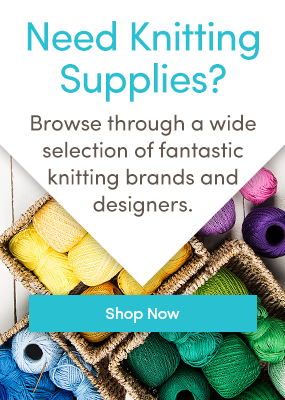 The internet has made it so much easier for knitters to share and sell patterns, and of course buy yarn! Mostly from cartoons, anything from Bugs Bunny to Despicable Me (the person who created the minions is a genius!). Moss the Sheep (above) is one of my latest designs and has lots of fans already! A sketch pad to draw my idea, and then graph paper for mapping out the pattern design. Oh, and a big cup of tea! Oh thank you! Natural daylight is essential to getting a good shot, so I choose the brightest room in the house. I usually take at least 20 photos and choose the best one, and a bit of photo editing software works wonders! Take some great photos to really sell your design, and take advantage of all the free social media tools to help promote your work. I would be Hayfield Bonus Buzz DK in Woosh, because I am always a busy bee! Click here to see all of Amanda Berry’s wonderful patterns – there will surely be something for you! I LOVE the animals. I’m crocheting some for Christmas now, but have not seen the knitted ones…will definitely try these too. We are adding more and more patterns from Amanda and all of our independent designers every week. Keep an eye out here: http://www.loveknitting.com/independent-designers, perhaps there will be a horse pattern very very soon!